Classic, classy, Copenhagen. Billowy skirts and sunglasses and sunshine. 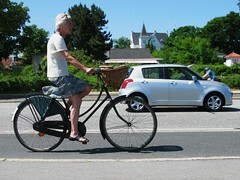 Age is no hindrance for cycling in Copenhagen. 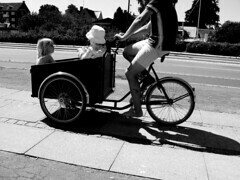 Summertime is barefoot cycling time and 'take kids to beach' time.